Shirts With Random Triangles: Is Northwestern Fated To Be In The 2016 Outback Bowl? 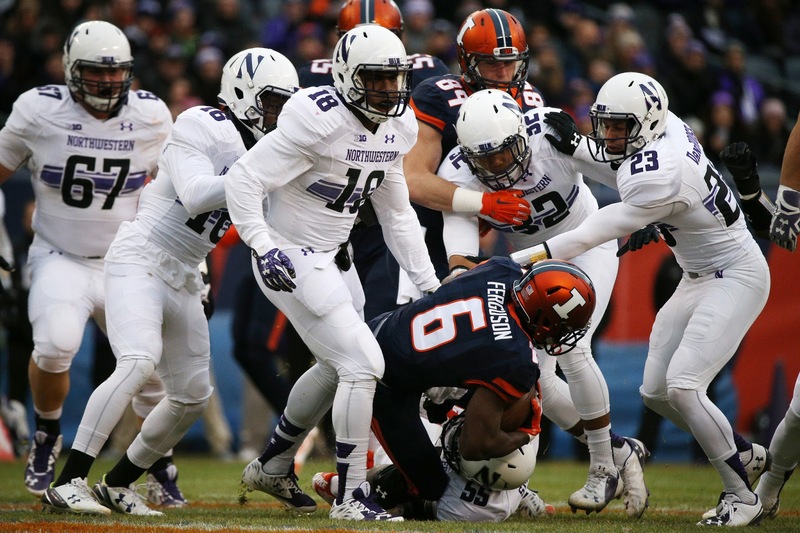 Is Northwestern Fated To Be In The 2016 Outback Bowl? Northwestern vs. Illinois from this past Sat. Image via The Chicago Tribune. What are the latest projections for the participants of the 2016 Outback Bowl? A sampling of college football analysts shows most of them seem to be convinced that Northwestern will represent the Big Ten in the Tampa-based New Year's Day Bowl. As for the SEC? There still seems to be a lot of different ideas there. Where: Raymond James Stadium, Tampa, Fl. Northwestern vs. Tennessee seems to be the popular pick. Northwestern vs. Georgia would be an nice way to officially end Mark Richt's tenure as head coach of the Bulldogs.